Denver is home to plenty of DIYers ready to tackle remodeling and repairs on their own terms. 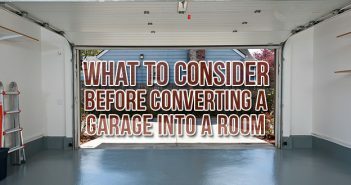 If you’ve got a home improvement project brewing you might want to track down a dumpster rental in Denver to deal with the debris from your project, and you’ll definitely want to check out these 4 best Denver home improvement stores for all the tools, materials, and expert advice you’ll need to get the job done right. Not only does Bud’s Warehouse offer customers one of the city’s largest selections of new, used, and antique materials—including tools, appliances, doors, windows, lighting, plumbing, flooring and more—but they offer them at prices up to 70% less than retail. That’s because all the home improvement supplies you’ll find here are donated by builders, suppliers, or DIY homeowners like you. Why? Because Bud’s Warehouse isn’t just a home improvement store. It’s also a non-profit providing job-training and life-skills development for people working to get back on track after struggling with addiction, incarceration, homelessness or other issues. In fact, “Bud’s” isn’t a name but an acronym that spells out their mission: Building Unity and Dignity (through) Service. And Bud’s has been so successful since their opening in 1995, that their founders have been able to open several other organizations, including Second Chances and Good Neighbor Garage, to help struggling Denverites. For the chance to enjoy great prices on a huge selection of items, all while helping your neighbors, Bud’s Warehouse is unique among Denver home improvement stores. For kitchen and bathroom remodels, you can’t go wrong with American Cabinet and Flooring. With 3 locations throughout the area, they’ve established themselves as the top kitchen and bath source among Denver home improvement stores. Here, you’ll find cabinetry, flooring, hardware, sinks and counter-tops of the highest quality, in styles to suit any taste. Not only can a DIYer find all the materials they need to bring fresh style to their kitchens and baths, but for those who aren’t so DIY-inclined, AC&F offers installation services as high quality as their products. 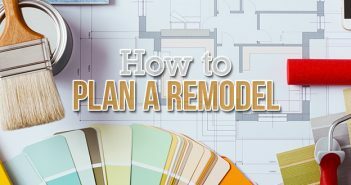 Not sure you’ve settled on the right design for your remodel? Their award-winning design team is poised to help you take your vision to the next level. For style, quality, and expertise, American Cabinet and Flooring can’t be beat. Extras is a true hidden gem among home improvement stores in Denver. Priding themselves on “keeping ‘stuff’ out of landfills since 1996,” Extras stocks a wide variety of surplus building materials and other home improvement supplies, including windows, doors, trim, hardware, cabinetry, lumber and more. Everything is over-stock, close outs, or inventory reductions that allow them to offer customers low prices for quality merchandise. Family owned and operated for 19 years, owners Al and Marcia Smith got the idea to open a building supplies surplus store while working to remodel their bungalow in South Denver. Their passion for finding great surplus products to offer customers is clear from Extras’ constantly expanding inventory. You can find new items on the shelves almost daily, making every trip to Extras the treasure hunt of any DIYer’s dreams. Denver Hardware has been a city staple since 1946. The Kaatz family originally opened a small store on Larimer St. after years of selling mining supplies, but thanks to 4 generations of hard work and dedication to their customers, their store now occupies a full downtown block. Few home improvement stores in Denver can boast the same kind of experience in the industry and such a long history of satisfied customers. 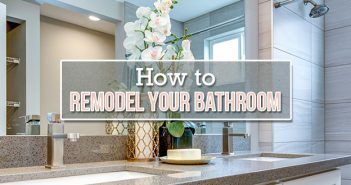 They offer a full range of hardware for both indoors and outdoors, vanities, sinks, cabinetry, mirrors, and more, including safety items like grab bars for the shower. In addition, for commercial customers, Denver Hardware also offers toilet partitions, urinals, and other bathroom accessories, like hand dryers and lockers. When you choose Denver Hardware for your home improvement needs, you’re choosing a Denver tradition. Did we miss one of your favorite Denver home improvement stores? Comment and let us know!